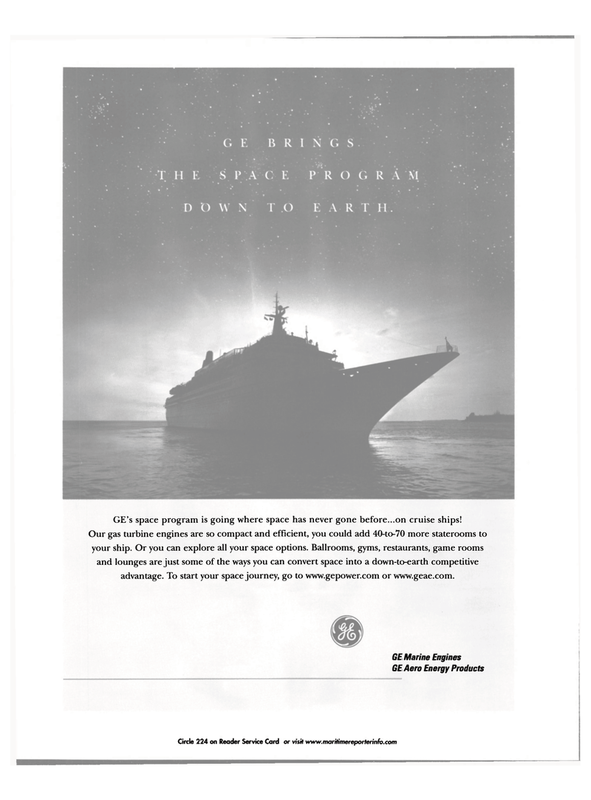 GE's space program is going where space has never gone before...on cruise ships! Our gas turbine engines are so compact and efficient, you could add 40-to-70 more staterooms to your ship. Or you can explore all your space options. Ballrooms, gyms, restaurants, game rooms and lounges are just some of the ways you can convert space into a down-to-earth competitive advantage. To start your space journey, go to www.gepower.com or www.geae.com.